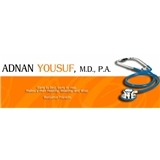 Adnan Yousuf, M.D., P.A. (Houston) - Book Appointment Online! Conveniently located in the heart of Houston’s Museum District, just around the corner from our world renowned medical center.